An Aerial Shot Flying From A Mountain Towards A Bridge In Hong Kong. 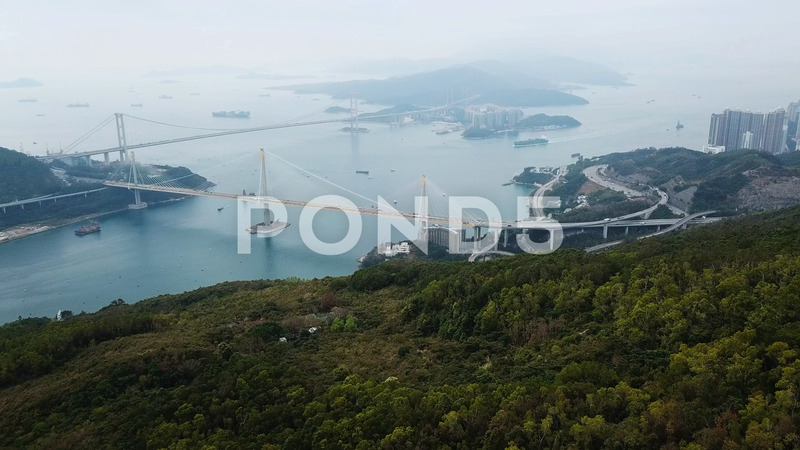 Description: an aerial shot flying from a mountain towards a bridge in Hong Kong. Filmed in 4k with DJI Mavic Pro.